Aran Rugs have a luxury pile made from a 60% wool 40% high quality viscose mix, the plain Midnight colour being one of four new additions to the original collection of four colours. 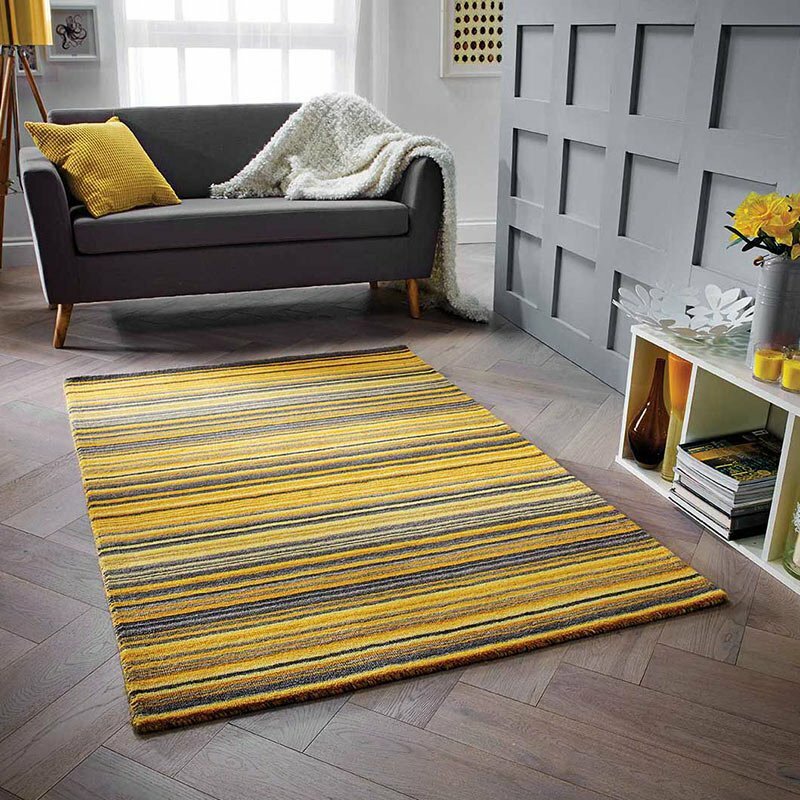 The sleek and simple look of a plain rug makes Aran the perfect choice for injecting a charming and timeless floor dressing into almost any interior styling. The pile is both deep and soft, the viscose (also known as art silk) strands faintly glint as the light hits them and this results in a visually impressive soft sheen across parts of the surface. The Aran Midnight rug is of a premium quality, it is hand-woven in India for Asiatic Carpets of London and is perfect for adding a subtle touch of glamour to your floor. Standard sizes include 3ft11x5ft11, 5ft3x7ft6 and the xl size 6ft6x9ft11 rug, we can have a tailor a bespoke size to accommodate your needs if the stock options don't meet your requirements. Call us on 01332 294787 for further details. A 20x20cm sample set containing all the lovely colours from the Aran collection is available to purchase and is refundable upon return.